The 2008 honorees include the first Executive Director of YWCA Clark County, a member of Vancouver City Council, a doctor, three educators, a banker, and a multicultural activist. Susan Torres, teacher and mentor, English as a Second Language (ESL) program, Clark College. In addition, for the first time, three Young Women of Achievement will be honored during the 2008 celebration. Navnit Virdi, Heritage High School. The honorees will each receive a $1,500 scholarship. Brown will receive a scholarship from First Independent Bank. Hairston will receive the annual Donna Roberge scholarship. Virdi will receive the Violet Richardson Scholarship from Soroptomist International of Vancouver. KATU-TV anchor Anna Song will serve as emcee for the 2008 Women of Achievement celebration, which is co-sponsored by Clark College and YWCA Clark County. Doors will open at 11:30 a.m. The awards program will begin at noon. Ticket cost is $35 per person or $350 for a table of ten. For information or reservations, call the YWCA Clark County at 360-906-4301. Celebrating women's lives -- filled with courage, strength and determination -- is valuable for us all. This belief was the motivation for the Women of Achievement Celebration, which was founded in 1984 by Pat Watne, Director of Women's Programs at Clark College. Watne created an awards program that would commemorate National Women's History Month and International Women's Day in March. It would also recognize and honor local women for their outstanding community contributions. During the first few years, women were honored at a small tea held on the Clark College campus. 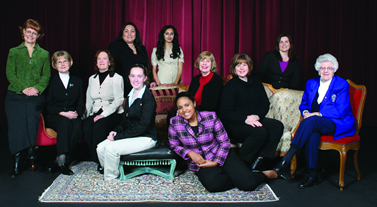 In 1991, YWCA Clark County joined with Clark College in sponsoring the Women of Achievement Celebration. During the celebration's 23 years, 184 extraordinary women have been recognized. Today, the Women of Achievement celebration is Southwest Washington's largest event honoring women. Anna Song anchors KATU's weekend evening newscasts. She also reports during the week as part of KATU's investigative team. Anna has been recognized as one of the best broadcast journalists in the region. She won the 2006 Regional Edward R. Murrow award for investigative reporting. She's also received 1st place Associated Press awards in investigative reporting, documentary, news writing and feature reporting. She is a four time Emmy Award nominee. Her extensive coverage of the Oregon City girl’s case in 2002 helped lead KATU to a Regional Murrow for Continuing Coverage. She began her career at KATU as an intern. She began reporting full-time in March of 1999. She's also worked as a desk assistant with ABC NewsOne and as an intern at KABC-TV, both in Los Angeles. Anna graduated from Pepperdine University with degrees in broadcast journalism and international business. Anna was born in Taiwan and came to the United States with her family when she was two years old. She grew up in northeast Portland and attended Parkrose High School. She values her time with family and friends. She's an avid motivational speaker and is available for schools and community groups. Anna is also an honorary board member of the Assistance League of Portland, a volunteer organization that provides free dental service for low-income children.